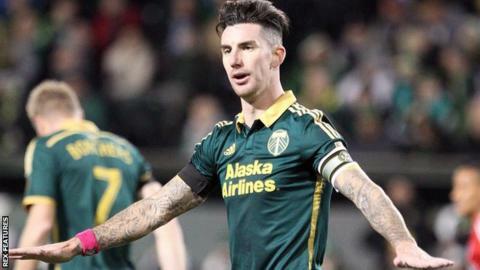 Brighton have signed defender Liam Ridgewell on loan from Major League Soccer side Portland Timbers. The 31-year-old former Aston Villa, Birmingham and West Brom centre-back will be available for the Seagulls between 2 January and 13 February. "I know Liam very well from my time as manager at Birmingham and he is an important addition for us," Albion boss Chris Hughton told the club website. "He will bring extra experience to our defence at a crucial time." Ridgewell moved to the United States in the summer of 2014 following a two-and-a-half-year spell with West Brom, but spent six weeks of last season on loan at Wigan. He captained Portland to the MLS title earlier this month. Mid-term report: Who will win the Premier League? Read more on Mid-term report: Who will win the Premier League?